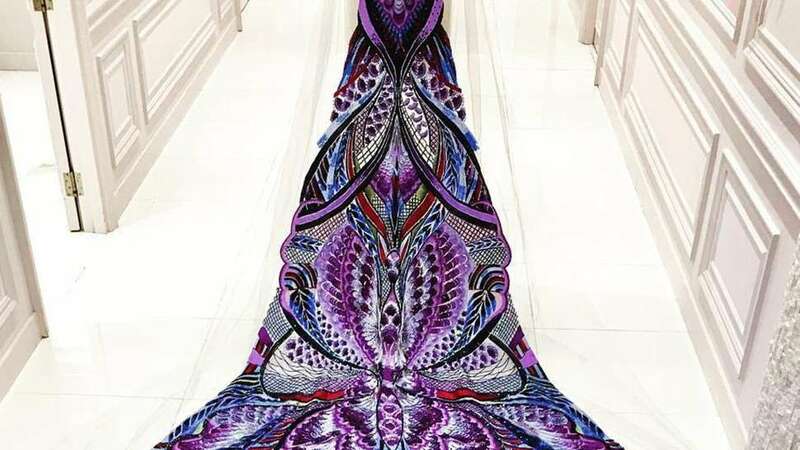 The designer's exquisite creation is worn yet again by another star! 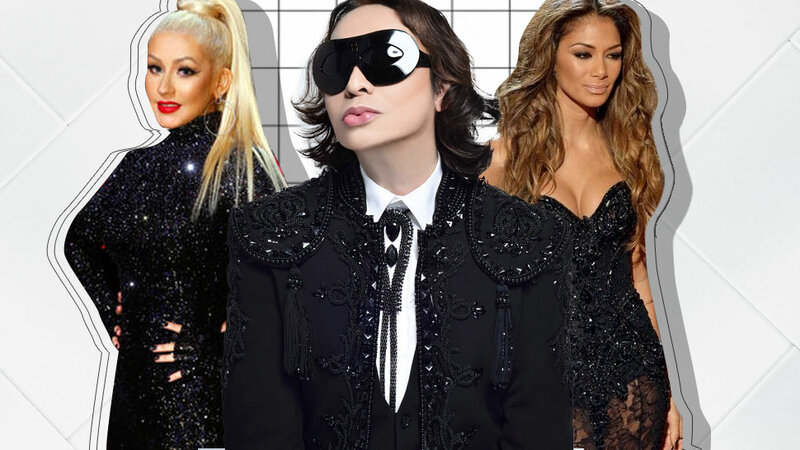 Who other to go head-to-head with Jenny from the Block than "The Unkabogable" Vice Ganda himself? 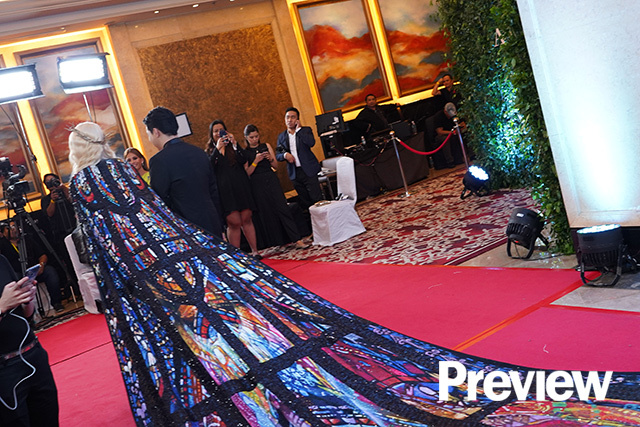 Always one for show-stopping entrances, Vice arrived at the ABS-CBN Ball in a 20-foot long cape by Michael Cinco—one that took a hundred people, a whopping 10,000 Swarovski crystals, and over six months to make! 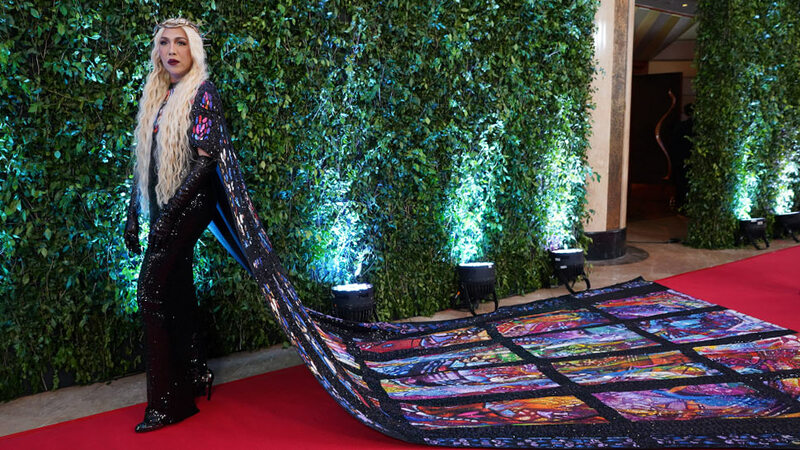 A closer look at Michael Cinco's 20-foot long cape worn by Vice Ganda. 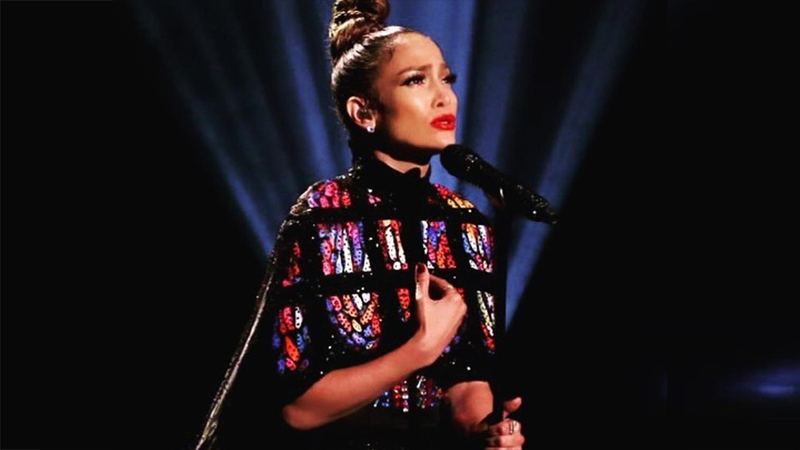 An imitation of the stained glass at the Sainte Chapelle church in Paris, the same cape was also worn by Jennifer Lopez two years ago for her guest performance on The Tonight Show with Jimmy Fallon. While J. 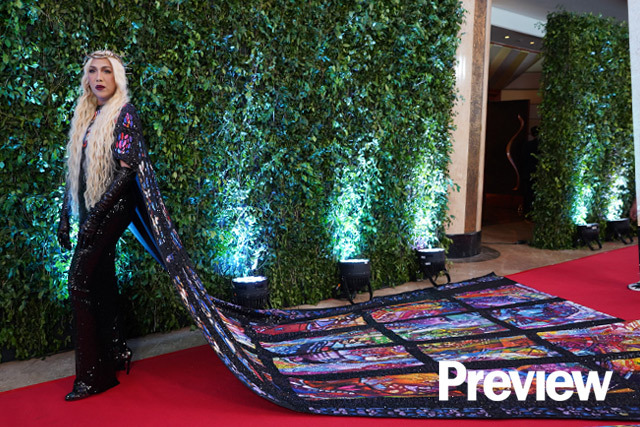 Lo opted for a more modest and sleek look with her hair pulled up into a twisted bun, Vice upped the ante and stayed true to the cape's religious imagery as he wore a thorned crown atop his cascading blonde 'do. 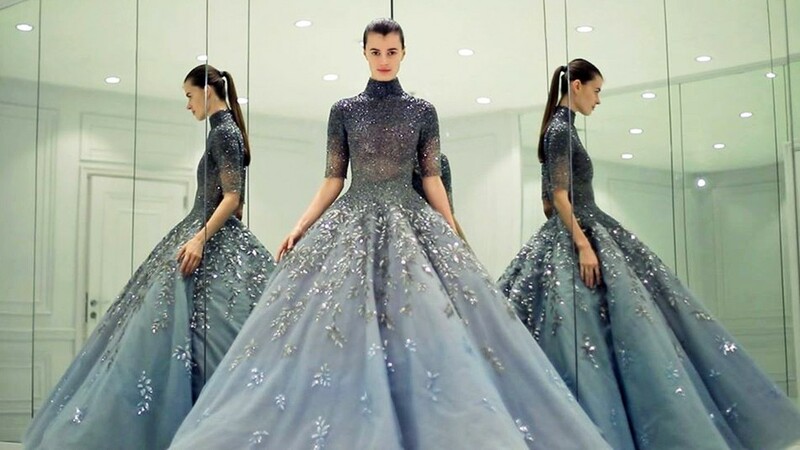 To finish off his look, he accessorized with shimmering black evening gloves that perfectly match his sheath gown.